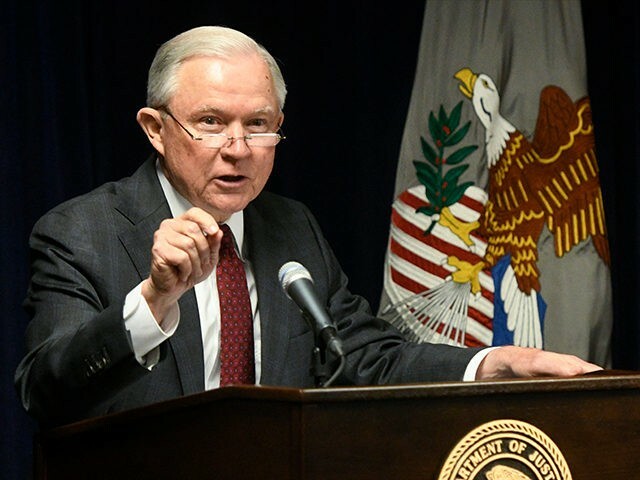 Immigration lawyers and progressives are furious with Attorney General Jeff Sessions’ public support for the immigration laws which help Americans first. Many in this country take a different view. They object to any enforcement that works. They evidence an open borders philosophy. Let me say this clearly: it is perfectly legitimate, moral, and decent for a nation to have a legal system of immigration and to enforce the system it adopts … Open borders is directly contrary to the INA [Immigration and Naturalization Act], which governs our work. The INA is not perfect, but it plainly lays out a rational scheme for immigration that tells our officers and judges who is to be admitted, how many and under what circumstances. Tabaddor and the judges’ union have long been pushing for the courts to be taken out of the Department of Justice and set up as an independent system, similar to the bankruptcy courts. Tabaddor has served as an immigration judge since 2005. While other administrations have sought to influence the courts in some ways, like how to prioritize cases, she said judges have not witnessed anything like this administration under Sessions. “We have never really seen the level of explicit and deep sort of scrutiny and use of the court consistent with the executive branch’s political policies,” Tabaddor said. The Department of Justice is working hard to uphold those principles. And so are our U.S. Attorneys. When I was a U.S. Attorney, I pushed for maximum production from my Assistants and our staff. And now as Attorney General, my team and I are doing the same thing—encouraging our USAOs to achieve the highest levels of excellence. The American people are good and just. They rightly want a lawful system they can be proud of. They believe that persons who want to come here should file their claim and wait their turn. They believe that we should not encourage them to enter our country in a criminal manner. And, as I think you all would agree, the INA was enacted to make those principles a reality.